How does thinking about getting to ‘everyone’ change how you do things? 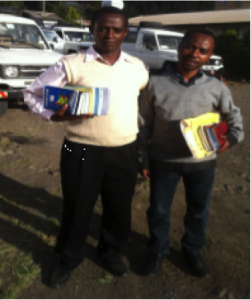 Demeke is an evangelist in the Mekana Yesus church of the town of Dubti in Ethiopia. In September of 2014, he participated in MC2 training. MC2, which is a four phase training process created by Global Church Movements to equip people to launch new churches and faith communities. Demeke faithfully implemented his training. A phase one assignment was to identify a person of peace through a strategy called “Prayer/Care/Share” in his network of family and friends. Those who respond would be the foundation to a new home fellowship. 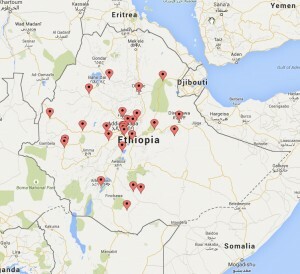 Demeke applied the training in six locations which have now become six new churches around Dubti in the Afar Region. The Afar people of Eastern Ethiopia are nomadic Muslims, most with no known contact with a Christian church. Demeke, a new church planter. Now one community has a church with 103 believers, another has a church with 40 believers and a third has one with 65 believers. 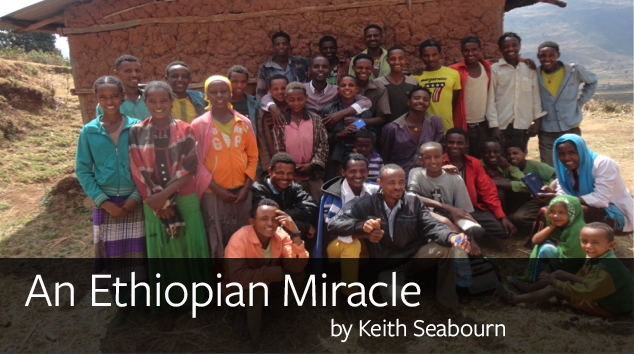 This third community launched a church in another community and this now has 38 believers. Finally, a fifth community has a new church with 11 believers. In addition, 77 new believers joined the existing congregation in the town of Dubti. This is a real miracle! 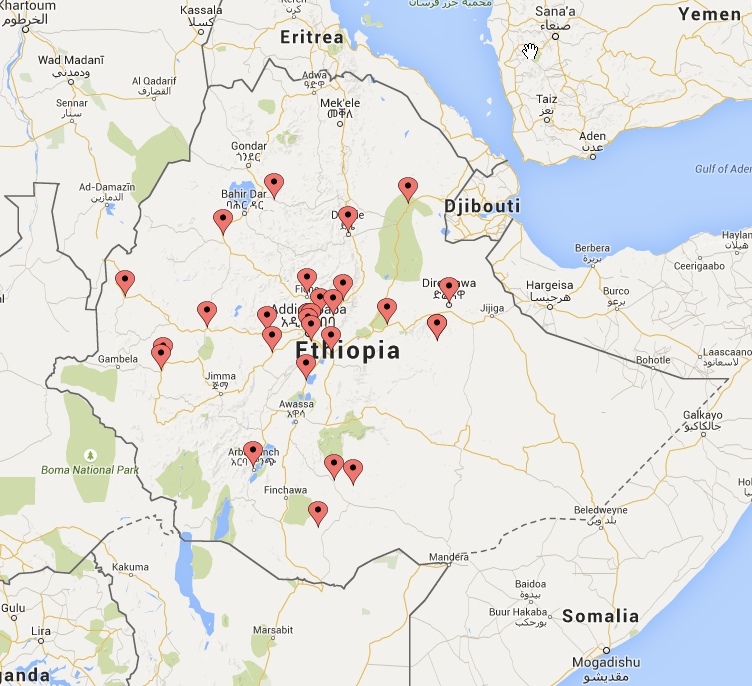 Demeke is not alone and God is using many others to launch new church planting networks like this in Ethiopia. Since that September 2014 training, 1,104 church planters have begun training in 33 locations. These training sites are sponsored by a network of partners ranging from recently planted churches, existing local churches and even an Ethiopian evangelical church in Dallas, TX. The map shows 30 of the 33 cluster locations, some not being shown due to the sensitive nature of their locations.